Now we open Lantluft again! For many years it was a popular place to stop and get a coffee and a cake. With passion and love will open it again under new management, and we hope that it will again become as popular. Here you will be served intriguing sandwiches mostly with ingredients from local producers. How about a venison sandwich with strawberries or a goat cheese sandwich on sourdough baguette with cheese from the neighbor’s goat dairy? Of course we will also be serving homemade buns and we will also have some good cakes. Good organic coffee, we will serve and do you have a really good caffe latte, we can also arrange it. 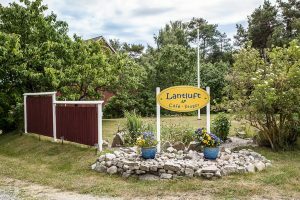 We are located exactly halfway between Kristianopel and Torhamn and it will be enough to stop by here when you leave the beautiful kustträckan along the Blekinge’s east side. On sunny days you can sit happy in our terrace and hear porlet from the water in the small pond. 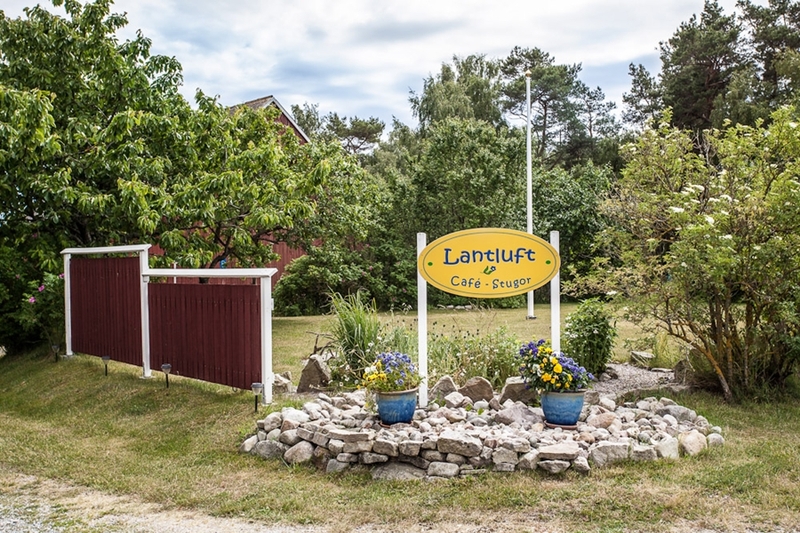 From Lantluft is only after a few steps to Orranäs dairy where you can buy the most wonderful goat cheese. We will also rent out rooms in our cozy peasant wing.